Obviously the past movements cannot guarantee the future movements. Therefore, technical analysis is not a hundred percent accurate and surefire forecasting method. However, if you learn the technical analysis properly, you can make more correct predictions, and so you will be profitable at the end. Technical analysis rules, techniques and tools are 99% the same in the stock and forex trading. So if you learn technical analysis, you can use it both in stock and forex trading. It is impossible to cover everything about the technical analysis in one article. So here I just try to talk about the technical analysis in general, but I will write more detailed articles later. If you read my daily forex market analysis reports, you will see that technical analysis is the main thing that I use in the market analysis. I do not use indicators in the long time-frames like 4 hours, daily and weekly charts. The reason is that I believe indicators are too delayed to be used on the long time-frames. They show the signals far after a breakout and a big move happens. So it can be too late to enter to any trade. In technical analysis we work on the price charts. The price chart is a two dimensional chart. The vertical axis shows the price and the horizontal axis shows the time. There are some other kinds of charts but as they are not common, I have’t mentioned them in the above list. Even Heikin Ashi, Kagi, Renko and Point & Figure are not very common too. But I like to talk about them, because I know that some of you will become interested in using them. Line, candlestick and Bar charts are very common and I think candlestick chart is the most common chart and it becomes more popular every day. 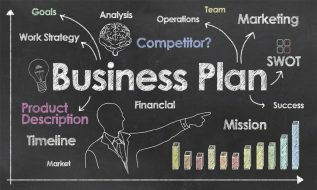 Finding the trends, support and resistance lines and levels and also consolidations like triangles, wedges, pennants, double and triple tops and bottoms, head and shoulders and … can be done through the technical analysis rules. When you can achieve to find these things on your charts, you will be able to predict the next price direction and movement, and so you can take the proper position. Technical analysis becomes even more helpful and valuable when you enrich the result with some other tools like candlesticks and Fibonacci levels. 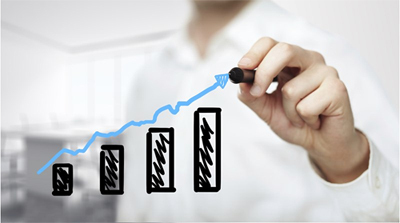 You can do your technical analysis on a simple line chart. It will not make any differences because you will find the same trends and formations. However, when you do in on a candlestick chart and pay enough attention to the candlesticks’ signals, your analysis will be stronger. Trendlines are the general direction of the price. When the price goes up, we have uptrend and when it goes down, we have downtrend. You can find several small trends inside a big trend. 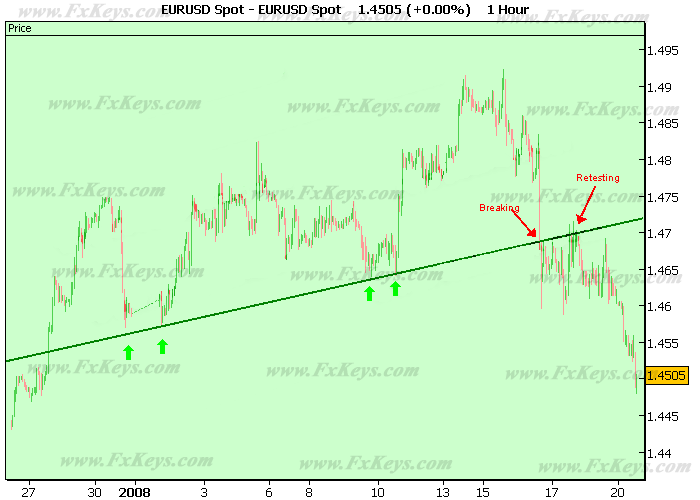 Additionally each time-frame can have its own trends which can be different from other time-frames. For example, while you have an uptrend in the daily chart, you can have a downtrend in the one-hour chart. Finding the trends is the first thing we do in technical analysis. Support is a level that doesn’t let the price go lower. 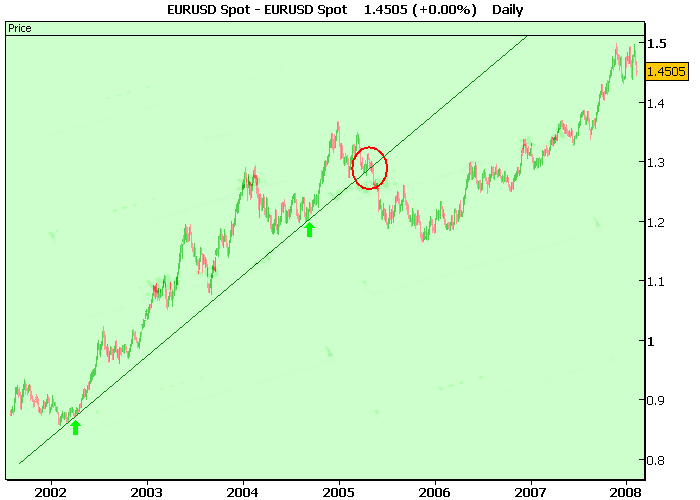 Look at the strong support that we’ve had in EUR-USD since 2006. However, a support line can be broken. Usually when a support line becomes broken, the price goes much lower. 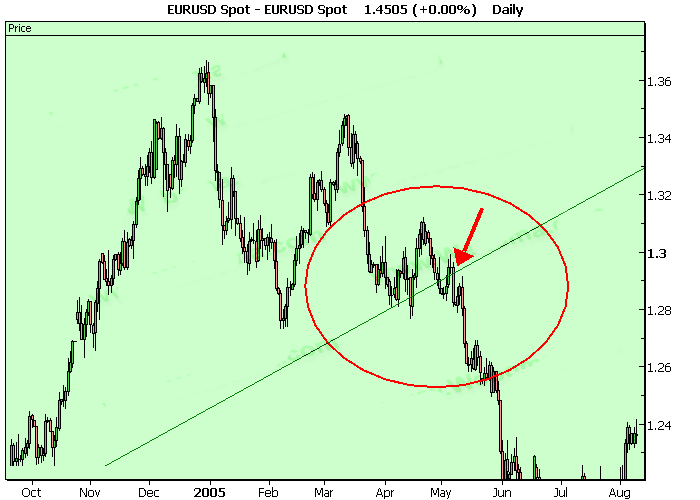 It is important to know that when a support line becomes broken, it will act as a resistance. Therefore, sometimes the price goes up several times to retest the broken support. Resistance is a line or level that doesn’t let the price go higher. Like the support line, the resistance line can become broken and then act as a support. Everything that we do in technical analysis is based on the support and resistance lines we find on the charts. 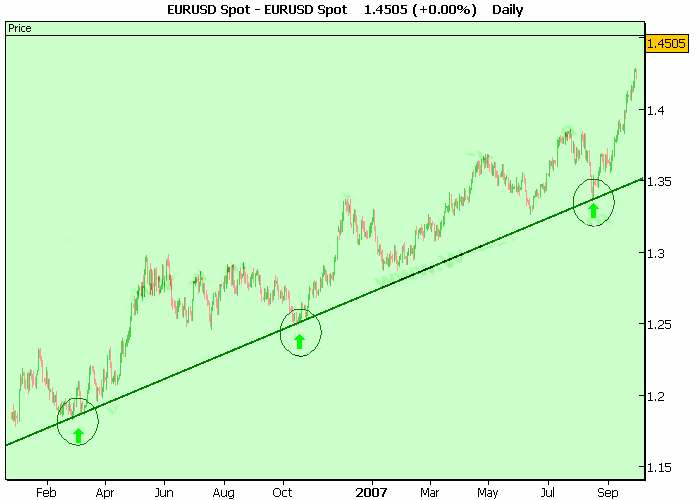 Even patterns like triangles, wedges, pennants, double and triple tops and bottoms, head and shoulders and … are created by the support and resistance lines. 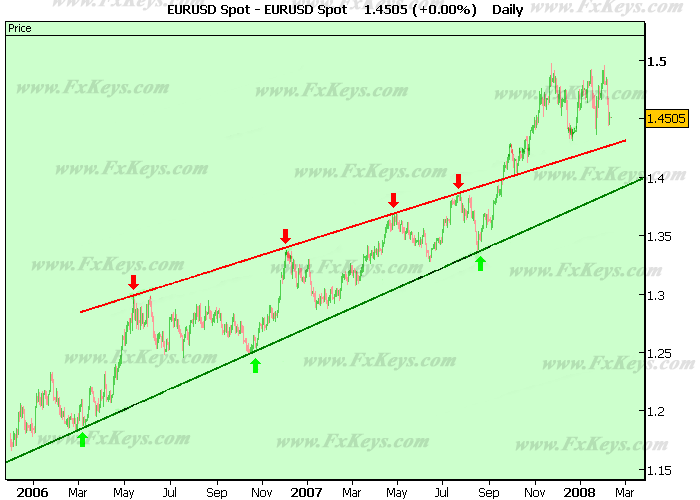 Why are there support and resistance lines in the markets? Why do the price goes up as soon as it touches a support line and goes down as soon as it touches a resistance line? What causes a support or resistance line to become broken? These are the questions that you can have in your mind. It doesn’t make any difference in your trades if you know the answer of these questions or not. You just need to know what a support/resistance level is and how it acts. But it is always useful to know more than the basics. You can be a good driver even if you know nothing about the engine and gearbox. But professional drivers have to know about the engine, gearbox and all other parts of the car. That’s why they are called professional drivers. You can be an ordinary trader or a professional trader. 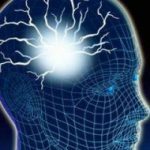 Professional traders know a lot about the psychology of the markets. 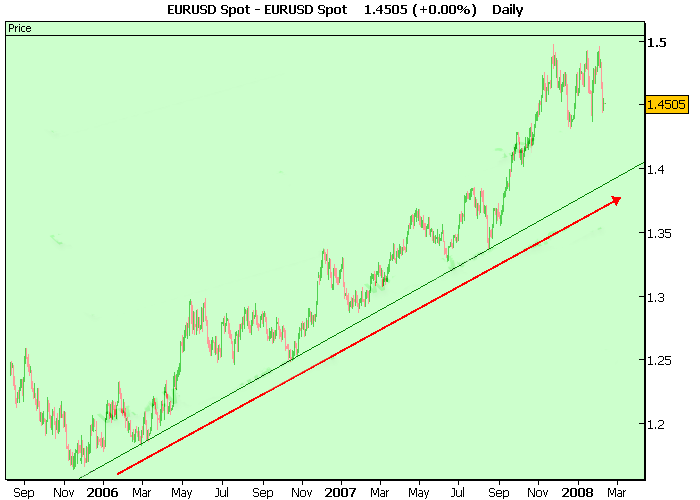 Why Are There Support and Resistance Lines in the Market? There are support and resistance lines in everything. For example, in the weather changes. It becomes hot in summer, but it has a limit in different regions. It doesn’t go up as much as it can. There is a resistance level in different areas. Every year the temperature goes up, retests the resistance and then goes down. It is the same in Winter. The temperature goes down, but it doesn’t go lower than a special level (support) in different regions. What prevents the temperature from going above or below a special level? There are different factors like atmosphere and geographical conditions. It is the same as the forex market and all other markets. Traders buy and buy and buy and the price goes higher and higher and higher but can the traders keep on buying for good? Or will they find a seller to sell his/her shares to them anytime that they want to buy? Definitely not because there are limitations. They cannot afford to buy more than a special limit and when most of the buyers reach their limit, they stop buying and start selling gradually. Therefore, the price will be stopped from going up and starts going down gradually. Then the other buyers who had kept their positions, becomes realized that the price will not go higher and will go down. So they sell and the price goes down much faster. On the other hand, when you want to buy, a seller should be found at the other side of the market. And it is clear that you cannot find a seller at any condition and time and visa versa. This cycle will be repeated over and over but each time when the buyers reach their limit level, they stop buying. 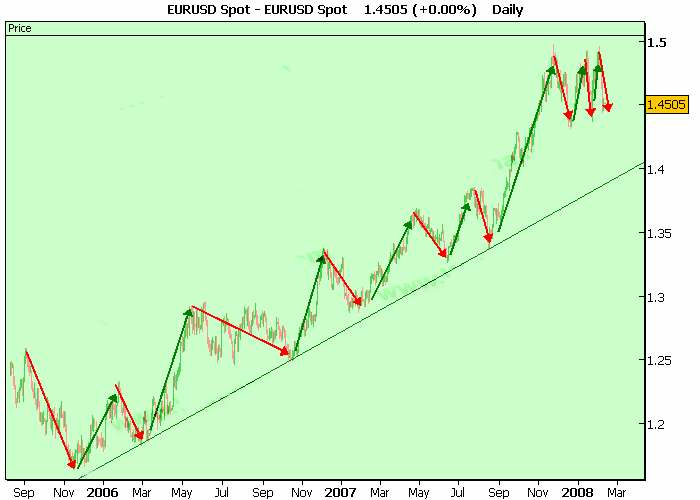 When we have an uptrend – like the EUR-USD chart you see above – each limit will be higher than the previous one. The reason is that the buyers become stronger and their buying limit goes higher, because they’ve made profit in their previous trades. So we still have a limit level, but this level is higher than the previous level. Support lines have the same story. They are the lines that all the buyer finish selling and then start buying, and so the price goes up again. When you connect the selling limits (bottoms) to each other, you will have a support line. 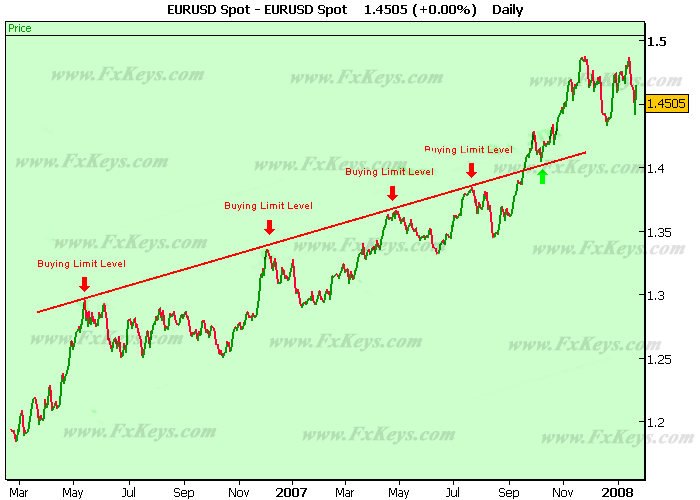 What Causes a Support or Resistance Level Becomes Broken? There are so many factors that cause a support or resistance level becomes broken. A positive or negative change in the economic condition is the most important factor. For example, a big country like USA decides to attack Iraq. This tells the traders and investors that the economic situation of USA will be encountered with some problems because of the heavy expenses of the war. So they stop investing in USA and stop buying USD. On the other hand, those who already had bought USD start selling, because they believe if they don’t do it, they will lose a lot when the value of the USD goes down. Also some of the investors who had invested in USA, take their money out because they are fearful that the US economy will go down and so they cannot make any profit or they will lose. So the value of USD goes down against the other currencies, and so several strong support/resistance lines become broken. You’d better to know what causes the price to go up and down. In trading based on the technical analysis, we just need to find the support and resistance lines and know when it is the time to buy or sell. When you find a support or resistance lines through the technical analysis, you should wait for the price to test them. If the price cannot break below the support and it goes up, you can take a long position. But if it breaks below the support, you can take a short position. Also when the price tests a resistance line and cannot break above it, you can take a short position. But if it breaks above the resistance, you can take a long position. A volatile market becomes slow and start moving sideways after a while. All these events have physiological reasons related to buyer (Bulls) and sellers (Bears). For example, sometimes buyers stop buying and wait for the other traders. If other traders keep buying, the price will go higher, and so those who’ve been waiting, start buying too. This waiting period in the market makes a consolidation on the price charts. When the price goes up again, the consolidation will be known as a continuation signal. Consolidations show the indecision of the markets. Indecision means the price doesn’t know if it should go up or down. If so, we have to plot the support and resistance levels and wait for the breakouts. Some of the consolidations work as continuation signals. For example, flags or pennants are continuation signals. It means the price will keep on moving to the same direction that it has been moving before the formation of the flag. Some other patterns are reversal signals. For example, Head and Shoulders and Double Tops that form at the top of an uptrend are reversal signals and the price should go down after these patterns. But sometimes they fail to act as a reversal pattern, and so the price keeps on moving towards the same direction. Thank you Ted. I haven’t done anything extraordinary. Soon you will be much better than me. The rule of thumb is when one of the time frames you mentioned forms a too strong trade setup, we take it while we don’t care about the other time frames. My first time on this page, I thought that I knew enough to bypass this page, but there is always something to learn in your articles. Does this mean that in order to have a better understanding of the market we are better to follow up the news reports?